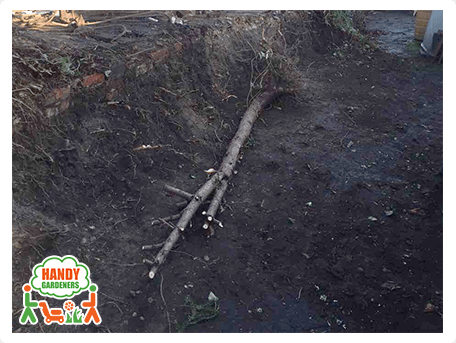 Our handy gardeners can work their magic on your garden! 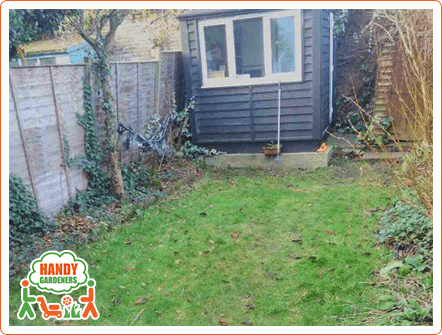 When the client living at Brocklebank Road in South West London first contacted us, he was almost desperate of all the unnecessary vegetation in his garden, his patio area was in a bad state, the lawn was patchy, there were a lot of weeds growing everywhere and making the place look wild. He requested all of this to be fixed, so we scheduled a viewing for him free of charge in order to provide a more precised and detailed quote based on his needs. After the viewing our offer was a good clearance of the garden, a completely new lawn to be installed and flower beds with railway sleepers to be created. This amount of work was all completed within 1 working day with top quality materials and a lot of professional care. Step 1. Not a single landscaping project can be started without a viewing - this is a very important step for assessment of the work, measuring of the area, discussing the client's ideas and offering variety of options. 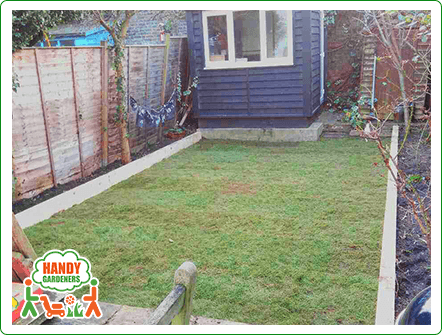 The client was impressed with our landscapers' knowledge and positive attitude, with their ability to respond to all his questions and so he decided to hire our company to transform his garden in Tooting. Step 2. 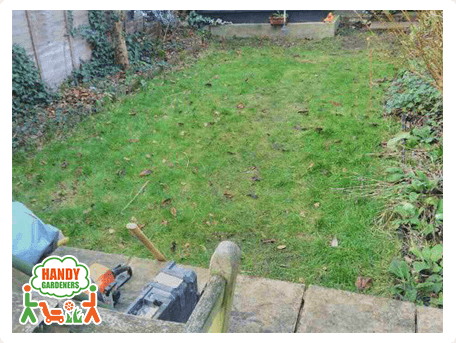 In the beginning of the job, the landscapers started with a good tidy up and clearance of the garden area - all of the overgrown hedges, plants and weeds were completely removed from the roots and then taken away. There were some trees that were keeping the sunlight from entering the garden area, so they were pruned back and shaped. Step 3. After that they started preparing the soil for re-turfing - the already existing turf was removed, the ground was leveled. On the already smoothened and evened ground was installed an aggregate layer of sand and new top soil for a final touch before the new turf laying. Step 4. 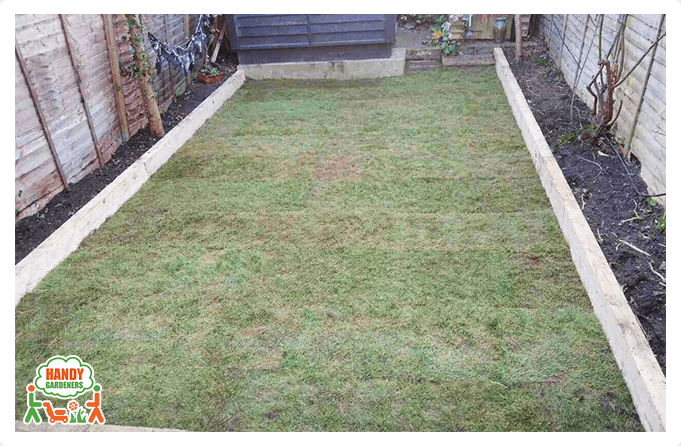 After the preparation of the soil, they started laying the top quality turf neatly using a garden roller, then the professionals cut the grass in the shape of the area, so the lawn had a completely new and fresh design. They installed the 2 railway sleepers which gave the garden an even better look. In the end the gardeners planted climbers and flowers which were positioned in the newly installed beds. The final result was stunning, the client could not believe what kind of a change happened in front of his eyes for just 1 day, so he said that he will recommend us to anyone who is looking to re-design his garden. 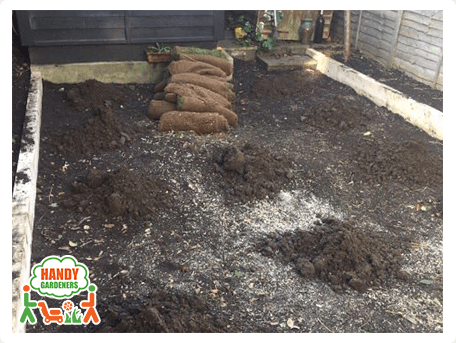 Description: Whatever your patio, lawn and garden care needs are, we are the Handy Gardeners in London capable of providing you with competent garden maintenance that best suit you. Copyright © 2014 - 2018 Handy Gardeners. All rights reserved.